Card list and scans from What You Leave Behind expansion have been added. 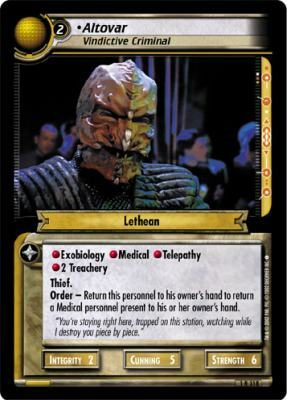 Decipher announced end of production for Star Trek CCG 2nd Edition. The last expansion will be What You Leave Behind announced for end of December 2007. So the oldest and still living Decipher's game (produced since 1994!) has gone. Card lists and scans from Star Trek CCG Second Edition have been added.